We wish you much pleasure. La Mia Favorita® is original and trendy. This plant is not just perfect for window sills but also mainly for trendy, stylish environments such as bathrooms, on wash basins and even on the dining table to add a floral touch to a cosy meal with friends. 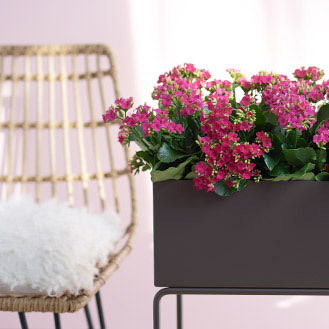 The La Mia Favorita® selection is not made up of any old Kalanchoes. 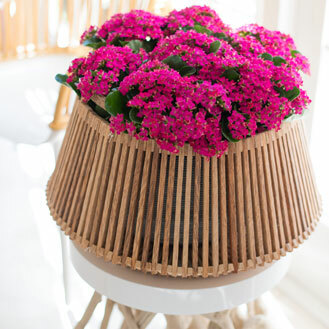 We make a very careful selection from the wide range of varieties of Kalanchoe. La Mia Favorita® comes in bright colours like red, white, yellow, purple, pink and orange. 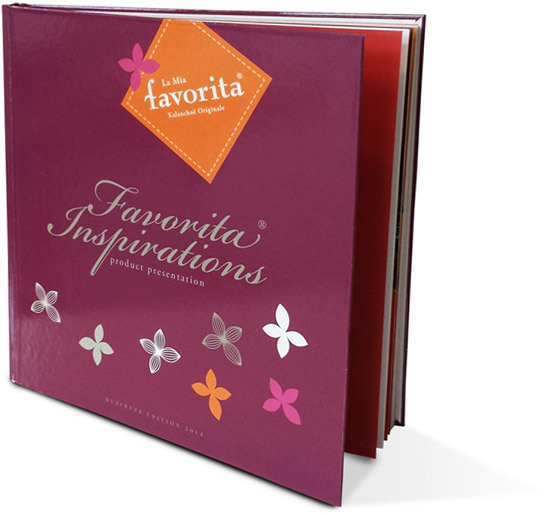 You have already spotted that La Mia Favorita® gives a lot and demands little. 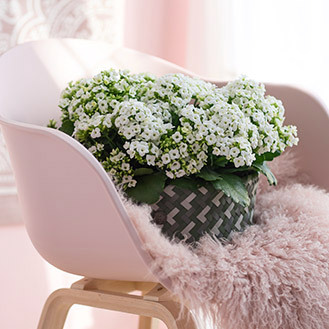 The tips below for caring for your plant are enough to ensure you get lasting pleasure from your cheerful and brightly coloured Kalanchoes. La Mia Favorita® by Kwekerij Vreugdenberg is a fantastic assortment of Kalanchoes that offer abundant and long lasting pleasure for consumers, florists and business partners. 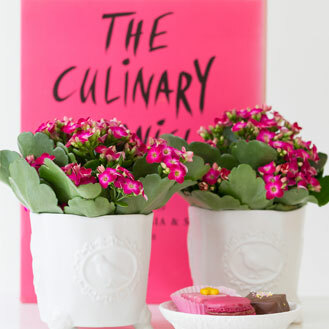 The original single-flowering Kalanchoe with all its strong characteristics and added values is an ideal gift for all and sundry. Long lasting abundance of flowers, Visually attractive, Suitable for outdoors and indoors, Retains colours during shipping and Beautiful modern designer sleeves. Would you like to find out more? Just read on. You can also ask for a quote straight away. Whatever the occasion, La Mia Favorita® is an ideal gift! For every season or holiday, there is a corresponding colour of La Mia Favorita®. The grower is called Aad Vreugdenhil, the company is called Vreugdenberg. It is located in the horticultural greenhouse are par excellence: Westland. Aad Vreugdenhil: We are involved in the process right from the smallest seed to fully-grown plants. This is the only way that we can guarantee top quality and uninterrupted supply. On this site you will see for yourself: how a plant can provide so much pleasure but require so little care. We are talking about the very colourful La Mia Favorita®, the concept of Kalanchoe grower Aad Vreugdenhil and his people.